The Force V A knee pad is a low-profile, hard cap vert pad but offers the enhanced protection and comfort of an extra layer of Arti-Lage Foam. Hence the 'A' for Arti-Lage! 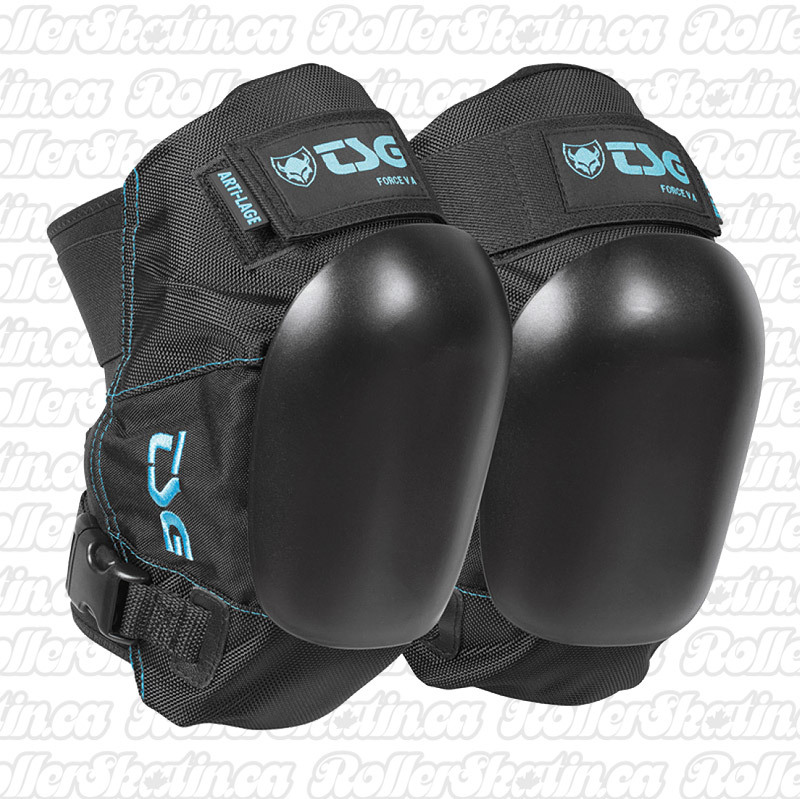 Superior MOVE-UP Kneepad for Derby! TSG FORCE V A Kneepads! The Force V A knee pad is a low-profile, hard cap vert pad but offers the enhanced protection and comfort of an extra layer of Arti-Lage Foam. Hence the 'A' for Arti-Lage after the 'V' model name! Like the Force V an anti-shift silicone printed liner and two adjustable Neoprene butterfly straps provide pro-level custom fit and security, while the extra layer of foam give the pad added form-fitting comfort and protection from bails. ••NOTE: TSG FORCE V A Kneepads are on pre-orders only at this time and will be shipping in November 2018! • OPEN-BACK DESIGN - No skate removal needed. Accessible open-back design with comfortable neoprene butterfly Velcro closure for easy on and off.